11 to 22 lbs per sq.ft. Travertine is a beautiful, timeless natural stone that conveys warmth and elegance in any setting and have been used architecturally around the world for thousands of years. However the disadvantage of natural Travertine is that it is very porous and breeds unsightly algae growth and can easily crack in Freeze-Thaw condition plus it’s dangerously slick when whet and easily effected by common pool chemical. Designed to mimic the look and feel of natural travertine, Tile Tech’s new Traver-Pave™ pavers have all the benefits of natural travertine but with out the negative characteristics. 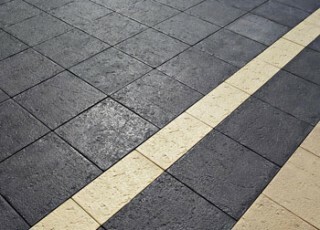 Traver-Pave™ pavers are produced under extreme hydraulic pressure resulting in a product with three times the density of concrete slabs making them impervious to algae growth, freeze-thaw cracking or deterioration from slat water chlorination systems. Unlike natural travertine, beveled edges on all our pavers prevents tripping hazards, stubbed toes, and simplifies installations in addition to preventing chiping of the pavers. Brings natural sea elements such as crushed seashells, fossilized coral impressions and wave patterns to your next project. 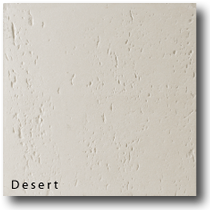 provide the look and feel of natural travertine at a fraction of the cost. 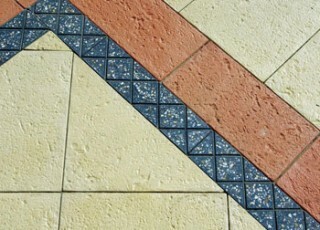 They add an extra element of texture to any courtyard, pool or patio project. 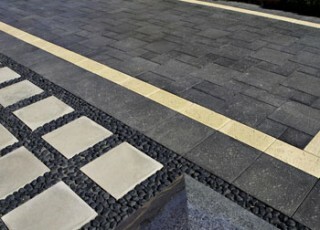 All Tile Tech Pavers products are designed to meet slip resistance criteria making them ideal for use in all wet or dry outdoor areas, stylish courtyards and pool surrounds.